There’s so much to think about when moving house at the end of a tenancy: using a professional end of tenancy cleaning company takes some of the stress out of the process as well as ensuring that you get back your full deposit. How much can I expect end of tenancy cleaning to cost? At the end of a rental lease, you must clean the property to return it to the state it was when you moved into it, perfectly clean and ready for the next occupants. Moving house is hard work and no matter how good a cleaner you are, the best way to make sure that you get your full deposit back is to hire professional end of tenancy cleaners. To give you an idea of what you might expect to pay for cleaning services, we’ve drawn up a table of average prices below. This table is just a guide, as the final price that you will pay depends on the size of your house and your location. Many house removal firms offer end of tenancy cleaning services, so you can be confident that your house will be cleaned as your belongings are being packed. It’s always advisable to compare prices to be sure that you are getting the best deal: fill in our form to receive up to 6 completely free, no-obligation quotes from trusted removal firms that offer end of tenancy cleaning services. 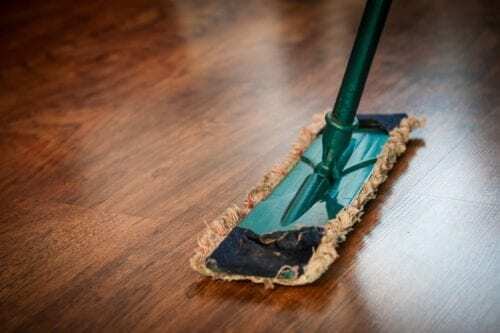 Why is an end of tenancy cleaning so important? End of tenancy cleaning is one of the most common reasons for disputes between landlords and tenants and giving your old house a thorough deep clean when you move out is the best way to avoid any reductions on your deposit refund. There’s no reason why you can’t carry out the cleaning yourself: you might be really good at cleaning and may have kept on top of your regular cleaning schedule while you were living there, which makes it easier to carry out the end of tenancy cleaning. However, when there are so many other chores associated with moving house to think about, it can be difficult to find time to do the extra thorough, deep clean required to fulfil your tenancy agreement: this is where hiring specialist end of tenancy cleaners can be helpful. Who should use end of tenancy cleaners? Hiring trusted professional end of tenancy cleaners reduces stress and worry, you won’t have to buy or hire special and equipment and you are sure of a flawlessly clean property ready for your next tenant to move straight in. It’s easy to miss areas of limescale from shower tiles and other areas and over time, it can really build up. Professional cleaners use industrial strength limescale remover that soon gets everything sparkling again. This is a point that many tenants miss: all windows should be free from dust and smears. Professional cleaners will use steam cleaners or environmentally friendly products to ensure the windows are clean and streak free. This doesn’t just mean a quick spray and wipe with a damp cloth but a really thorough deep clean. 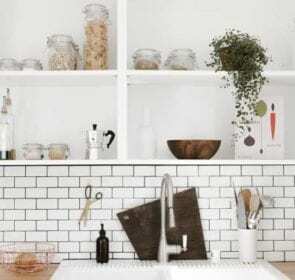 Don’t forget the tops and beneath the cupboards where grease and grime can accumulate. End of tenancy cleaners will use specialist equipment to really get to grips with this time-consuming task. All curtains and blinds must be clean and dust free: dust and dirt can build up quickly on blinds, especially on any that face the sun. End of tenancy cleaners will use steam cleaners and gentle, effective chemicals to get all the window dressings looking like new. Ensuring that carpets are clean and stain free requires the use of specialist equipment that you would probably need to hire: your expert end of tenancy cleaners have everything required so you won’t face losing your rental deposit because of dirt and stains on your flooring. How can a removal company help you with your end of tenancy cleaning? As well as packing, transporting and unpacking your belongings, your removal firm can also provide you with a cost-effective, efficient end of tenancy clean, thus ensuring that your house removal goes as smoothly as possible and also making sure that you get back the full amount of your deposit. If you’re preparing to move house and are looking for end of tenancy cleaners, We can help you to compare prices from removal firms offering this service. To receive up to 6 no-obligation quotes that are completely free of charge and to find the deal that meets your requirements, just complete the online enquiry form. Comparing quotes can help you to save up to 40% on the total costs.